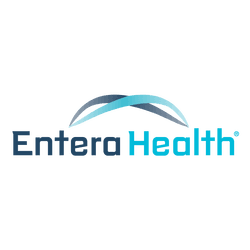 CASE REPORT: ORAL IMMUNOGLOBULINS AND POST-INFECTIOUS IBS - Entera Health, Inc.
Entera Health, Inc. announces the publication of a new clinical case report in the Journal of Gastroenterology and Hepatology Research, summarizing the benefits of EnteraGam® (serum-derived bovine immunoglobulin/protein isolate, SBI) in two patients with histories of post-infectious irritable bowel syndrome with diarrhea (IBS-D). Authors include: Carl Crawford, MD (New York Presbyterian-Weill Cornell Medical Center, New York, NY) and Raymond Panas, PhD (Cary, USA). Intestinal infections caused by a variety of bacteria including Clostridium difficile can lead to post-infectious Irritable Bowel Syndrome (PI-IBS) with symptoms that resemble IBS with diarrhea (IBS-D) (1,2). This new case report evaluated the use of SBI in two patients who presented with PI-IBS following recurrent C. difficile infections (CDI) successfully treated with antibiotics but with residual diarrhea. The clinical decision for SBI use was based on recent evidence for management of chronic loose and frequent stools in patients with IBS-D [3,4]. The first patient, a Caucasian female with PI-IBS following recurrent CDI, was started on SBI after unsuccessful attempts at resolving symptoms with cholestyramine, diet modification, and anti-diarrheal agents. The patient reported improvement in symptoms of frequent loose stools and abdominal discomfort within 48 hours of starting SBI, allowing her to return to work. The second patient, also a Caucasian female, had a history of recurrent CDI and was placed on SBI after developing symptoms of chronic loose and frequent stools. The patient reported improved management of her bowel habits within a few days of starting SBI therapy and continues at 5 g/day for ongoing maintenance of her PI-IBS-D.
Irritable bowel syndrome (IBS) is a complex and commonly diagnosed gastrointestinal (GI) disorder characterized by recurrent abdominal pain or discomfort associated with altered bowel habits that negatively affects patients’ daily activities and quality of life. Symptoms may include abnormal stool form or frequency, defecation straining, bloating, urgency, feelings of incomplete bowel movement, and passing mucus. Population-based studies indicate that the worldwide prevalence of IBS is approximately 10% to 20%. While the cause of IBS is still largely unknown, a variety of factors have been considered to play a role. The list includes, genetics, infections, psychosocial factors, and changes in gut motility or barrier function. Recent studies have also highlighted the potential role of low grade inflammation, often in association with alterations in the microbiota composition or metabolism, that may cause changes in gut barrier function with increased permeability and subsequent malabsorption of water, electrolytes, and nutrients. Such factors or host-system changes can lead to alterations in nutritional status, which can further contribute to symptoms. Unfortunately, most therapies that are currently used to manage patients with IBS are aimed at lessening symptoms rather than addressing the underlying cause of the disorder. Consequently, there is an increased interest in multi-modal therapeutic approaches aimed at restoring intestinal health and nutritional status.